How many problems can one man try to solve in a year? What if the problems aren’t your garden variety problems – like a broken faucet − but rather the earth’s most serious and existential problems? What if the problems are fossil fuel dependence, global warming, the future of artificial intelligence, and the colonization of other worlds? Maybe none? In 2016 Elon Musk took on all of these problems. It was his incredible ambition to change the world in 2016 that enabled him to outstrip all of the other contenders for The Next Web’s Tech Person of the Year. Musk didn’t necessarily wow us with his commercial success, but he did make sure that we knew who was the most interesting and inspiring person in tech today. Musk is the 45-year-old tech CEO known for his moonshot ideas and futurist Tony Stark-esk attitude – lately he has even been rocking the requisite goatee. He is the co-founder of Zip2 and PayPal, and currently CEO of SpaceX, CEO of Tesla, cofounder of OpenAI, and Chairman of Solar City. 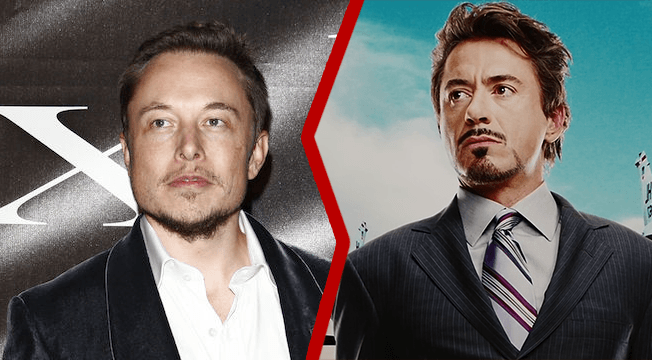 Not unlike Tony Stark, it was Musk’s early ventures (Zip2 and PayPal) that made his fortune – he currently has an estimated net worth of US $11.5 billion – but, unlike Tony Stark who became famous by flying around in a cybernetic iron suit and killing bad guys, it is his four current business ventures that have made him into a household name and tech celebrity. His efforts have met with varied levels of success over the years – in 2008 Tesla and SpaceX both almost went belly up – but he’s had his share of successes too: creating 35,000 manufacturing jobs, launching the first private space shuttle to dock at a space station, putting 125,000 electric vehicles on the road and in doing so pressuring the automotive industry to change, and revitalizing the US aerospace industry. 2016 has been no different: Another year marked by dramatic and ambitious successes and also by brutal failures for Musks’s ventures. All in 2016, Musk put the first commercial semi-autonomous vehicle on the road, Tesla delivered 80,000 vehicles and posted its first quarterly profit in three years, Solar City developed new solar roofs that would cost less than a traditional rooftop shingle to make and install, and SpaceX launched 8 shuttles into space. From 10,000 feet this might sound like an amazing year, but the devil is in the details, and in 2016 Musk had his share of commercial failures and true disasters. The world watched as the $62 million Falcon 9 exploded on its launchpad with the first Facebook satellite in tow. This fueled speculation about SpaceX’s future. YouTube reveled in videos of his semiautonomous cars being used not so semi-autonomously and also not working entirely well. Worse, this May a Tesla car crashed with its autonomous car software enabled. This was the first fatality in an autonomous vehicle. And financially SpaceX, Tesla, and Solar City all failed to make a profit – which some say led to the acquisition, or thinly veiled bail-out, of Solar City by Tesla. Yet regardless of these failures or successes this year Musk has continued to skyrocket to greater fame and popularity. His personal brand seems to be stronger than any single success or failure. This is in no small part because this year Musk used his already considerable celebrity and business platform to lay out his own ambitious vision of humanity’s future and to make sure the world took notice. In September of 2016 Musk stood on stage in Guadalajara, Mexico, for the first time rocking his Tony Stark goatee, and envisioned a future where humans (and SpaceX) would colonize Mars by 2030. He announced that SpaceX would start flying to Mars by 2018, sending people there by 2024 for only $200,000, and within 40-100 years creating a civilization on the red planet. It’s safe to say that his announcement went viral quickly (check out the twitter reactions from noted nerds) and gave another shot in the arm to the US aerospace community at large –Barack Obama soon made an announcement that the US would send humans to Mars by the 2030s. On a different stage at an AI conference in Montreal Musk launched OpenAI with the vision of creating an artificial intelligence company not aimed at products and quarterly earnings, but to research the future of AI and then to give that research away for free. Musk has called the creation of AI both “our greatest existential threat” and “Summoning the Demon.” Yet unlike other technology leaders his prescription to this threat hasn’t been to push for the restriction of AI research, but rather to expand it dramatically. Musk hopes that by furthering research on AI, he and OpenAI can ensure that the technology is developed ethically and safely – hopefully averting an AI apocalypse. This mission has inspired the technology community, and made OpenAI the hottest place for top AI researchers to work even though it doesn’t pay close to top dollar. Integrate Energy Generation and Storage by developing a combination solar roof (Solar City) and battery (Tesla’s Powerwall) so that homeowners can have integrated energy generation and storage; Improve factory efficiency by 10x by 2022 to make Tesla’s vehicle (the $35,000 Model 3) affordable (a la the Gigafactory); Cover the Major Forms of Terrestrial Transport in order to address most of the consumer market (with a compact SUV and pickup truck) and make public and commercial transport sustainable (with heavy duty trucks and high passenger-density urban transport); Make Fully Autonomous Vehicles a reality in about five years to improve driving safety and efficiency by 10x; and then finally to implement a Tesla vehicle sharing solution so that customers will be paid for their car to drive others around while they are not using it. His plan promises a very immediate future where we can detach ourselves from fossil fuel dependence. In doing so Musk once again laid out a vision for a future that might sound like it’s part sci-fi novel and part futurist utopia, but which Musk makes sound somehow achievable. If this all sound a little too good to be true, it’s because this vision is still precisely that, a vision. This vision, and not his successes or failures, is what Musk will be known for. And in the end Musk’s seemingly never ending moon-shot ambitions have made him more popular than ever − even in the face of drastic failures. This year he is toppling vaunted tech names off the leaderboards – voted the most respected leader in tech by 700 members of the start-up community (below his 23 percent of the vote was Jeff Bezos with only 10 percent). Millennials admired Musk more than not only the rest of tech, but Barack Obama and Gandhi. This is because while Musk may not have wowed us in 2016 with commercial success, he inspired, particularly technologists, with his vision for a better world(s).